The previous post featured habitat photos by Kauderwelsch who, in the meantime, has been kind enough to share more pictures at Wikimedia Commons. I’ve included a handful of his photos below. 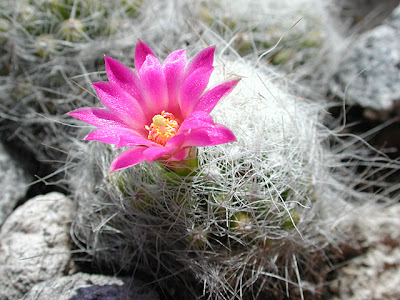 Previously I haven’t been much into Mammillaria but seeing this magnificent picture of a flowering M. kraehenbuehlii has me wondering if I should grow some of these beautiful plants. 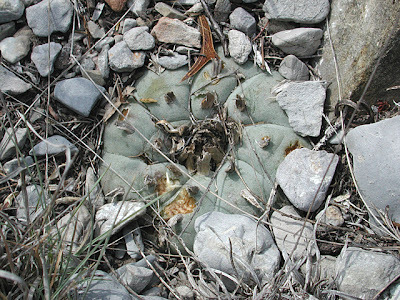 The next picture shows a Strombocactus disciformis growing in its typical habitat; nearly vertical, flaking limestone cliffs. 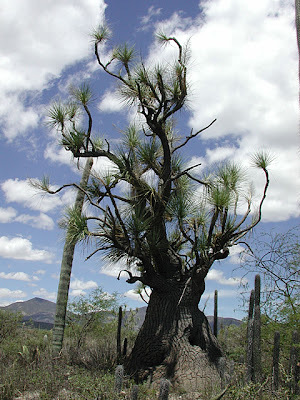 It seems almost surreal that any plant is able to grow in this harsh biotope, but Strombocactus, Aztekium ritteri, and other species of cactus thrive in such conditions. 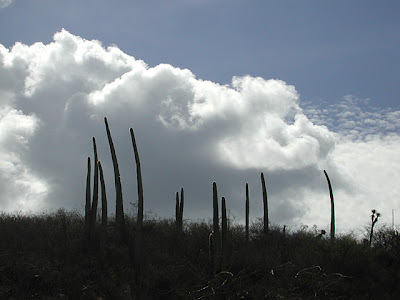 The next two photos are a bit out of context (they are certainly not showing “small Mexican species”; and one is not even picturing a cactus ;-) I just fell for the beauty of the band of Cephalocereus columna-trajani standing tall against the background of towering clouds, and the sprawl of branches on that ancient looking Beaucarnea gracilis. I have to visit México!